The dynamic field of astrochemistry brings together ideas of physics, astrophysics, biology and chemistry to the study of molecules between stars, around stars and on planets. 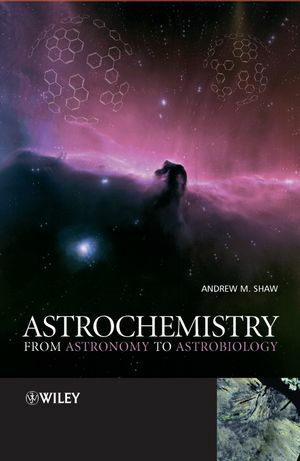 Astrochemistry: from Astronomy to Astrobiology provides a clear and concise introduction to this rapidly evolving multidisciplinary subject. Starting with the Molecular Universe, the text covers the formation of the elements, simple models of stars and their classification. It then moves on to draw on the theme of the Origins of Life to study interstellar chemistry, meteorite and comet chemistry as well as the chemistry of planets. Prebiotic chemistry and astrobiology are explored by examining the extremes of the biosphere on Earth, seeing how this may be applied to life in other solar systems. Astrochemsitry assumes a basic familiarity with principles of physical and organic chemistry but no prior knowledge of biology or astrophysics. This innovative text incorporates results from the latest research and ground and space missions, with key images enhanced by a colour plate section. 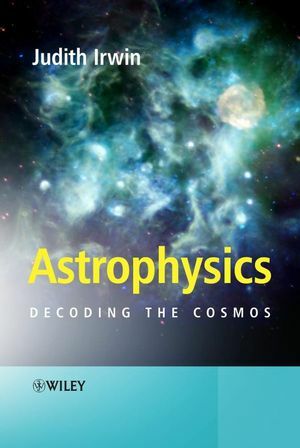 This book will be an ideal text for an undergraduate course in Astrochemistry and an essential tool for postgraduates entering the field. Andrew M. Shaw, University of Exeter, UK. 1.1 The Standard Model Big Bang Theory. 1.2 Galaxies, stars and planets. 2 Starlight, galaxies and clusters. 2.1 Simple stellar models–black body radiation. 2.2 2.726 K–cosmic microwave background radiation. 3 Atomic and molecular astronomy. 3.1 Spectroscopy and the structure of matter. 4.6 Cycle of star formation. 5.1 Mapping clouds of molecules. 5.2 Molecules in the interstellar and circumstellar medium. 5.3 Physical conditions in the interstellar medium. 5.4 Rates of chemical reactions. 5.5 Chemical reactions in the interstellar medium. 5.10 Kinetic models of molecular clouds. 5.11 Prebiotic molecules in the interstellar medium. 6 Meteorite and comet chemistry. 6.1 Formation of the solar system. 6.5 Chemical analysis of meteorites by µL2MS. 6.9 Structure of a comet. 6.10 Physicochemical conditions in a cometary coma. 6.11 Chemical composition of comets. 6.13 The Rosetta mission–origin of the solar system. 7.1 Structure of a star–planet system. 7.3 Formation of the Earth. 7.11 Biomarkers in the atmosphere. 8.1 Carbon- and water-based life forms. 8.3 Rates of chemical reactions. 8.4 Endogenous production of organic molecules. 8.5 Exogenous delivery of organic molecules. 10.4 Energy balance and the greenhouse effect. Glossary of terms and abbreviations. Appendix A: constants and units. Appendix C: thermodynamic properties of selected compounds.